Maud Wood Park, née Maud Wood, (born Jan. 25, 1871, Boston, Mass., U.S.—died May 8, 1955, Melrose, Mass. ), American suffragist whose lobbying skills and grasp of legislative politics were successfully deployed on behalf of woman suffrage and welfare issues involving women and children. Park attended St. Agnes School in Albany, New York, and after graduating in 1887 she taught school for eight years. She then attended Radcliffe College, Cambridge, Massachusetts, graduating in 1898. At Radcliffe she was one of only two students who favoured woman suffrage, and in her last year Park invited Alice Stone Blackwell to speak on campus. At the 1900 convention of the National American Woman Suffrage Association in Washington, D.C., the last convention to be presided over by Susan B. Anthony, Park found herself virtually the only representative of the younger generation of women. That discovery prompted her to organize the College Equal Suffrage League to stir up interest and support among a seemingly apathetic generation. Her tours of colleges across the country resulted in the formation of chapters in 30 states, and in 1908 they organized as the National College Equal Suffrage Association. Park was also a cofounder of the Boston Equal Suffrage Association for Good Government in 1901 and was its executive secretary for 12 years. In 1916 Park went to Washington, D.C., at the invitation of Carrie Chapman Catt to become head of the congressional committee of the National American Woman Suffrage Association. Her task was to direct congressional lobbying and liaison in the implementation of Catt’s “winning strategy.” Her acute understanding of both the legislative process and the techniques of lobbying contributed immeasurably to the success of the campaign for a suffrage amendment to the Constitution. After the passage of the 19th Amendment that gave women the vote, the National League of Women Voters was created in 1920 to follow up on the success of the suffrage campaign, and Park was chosen president of the new group and chairman of its legislative committee. In her four years with the league she built it into a large and broadly based association devoted to education, good government, and social and economic reform. She resigned in 1924 for reasons of health but served from 1925 to 1928 as the league’s legislative counselor. In 1924 Park organized the Women’s Joint Congressional Committee, a lobbying front representing several constituent women’s organizations. 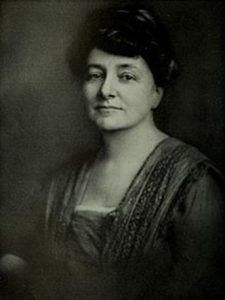 As permanent chairman of the committee she directed lobbying efforts that contributed to the passage of the Sheppard-Towner Act of 1921, which authorized federal aid to states for maternity, child health, and welfare programs; the Cable Act of 1922, which granted married women U.S. citizenship independent of their husbands’ status; and the child-labor amendment submitted to the states in 1924. With the failure of her health in the late 1920s, Park retired to Cape Elizabeth, Maine, and devoted herself to writing. Her play Lucy Stone was produced in May 1939.